Semangat cinta akan apa saja yang berkaitan dengan bangsa Melayu seperti hak politik, bahasa, kebudayaan, warisan, adat istiadat dan tanah air. Semenanjung Tanah Melayu dianggap sebagai tanah pusaka orang Melayu. ^ Liu, Ronnie Tian Khiew. UMNO should stop claiming Ketuanan Melayu. Malaysia Today. （原始内容存档于2005-09-29）. ^ Ooi Keat Gin. Historical Dictionary of Malaysia. The Scarecrow Press, Inc. 2008: 154. ISBN 0-8108-5955-6. ^ K.Das. Malay Dominance? The Abdullah Rubric. K Das Ink. 1987: 34. ISBN 978-0-9679999-0-6. ^ 不管发生在国内外．行动党反对仇恨暴力. 星洲日报. 2010-09-09 [2017-09-24]. ^ Ketuanan Rakyat' over 'Ketuanan Umno. Malaysia Kini. 2009-03-11 [2017-09-24] （英语）. ^ PKR tekad angkat ketuanan rakyat dalam manifesto PRU14. Astro Awani. 2017-05-21 [2017-09-24] （马来语）. ^ Dasar Ekonomi Baru Malaysia (PDF). Prime Minister Office. [2017-09-24] （马来语）. ^ Najib tersepit antara ‘apa lagi Cina mahu, apa saja negara China mahu’. Malaysia Dateline. 2017-01-19 [2017-09-24]. ^ 9.0 9.1 9.2 Ye, Lin-Sheng. The Chinese Dilemma. East West Publishing. 2003: 26–27. ISBN 978-0-9751646-1-7. ^ Reid, Anthony. Understanding Melayu (Malay) as a Source of Diverse Modern Identities. Journal of Southeast Asian Studies. 2001, 32 (3): 295–313. doi:10.1017/S0022463401000157. ^ Hwang, In-Won. Personalized Politics: The Malaysian State under Mahathir. Institute of Southeast Asian Studies. 2003: 24. ISBN 978-981-230-185-7. ^ Kratoska, Paul H., ed. Honorable Intentions: Talk on the British Empire in Southeast Asia Delivered at the Royal Colonial Institute 1874-1928. Singapore: Oxford University Press. 1983. ^ Patrick Keith. Ousted!. Media Masters. 2005: 140. ISBN 978-981-05-3865-1. ^ W.R. Roff. The Origins of Malay Nationalism. Penerbit Universiti Malaya. 1974: 114, 118. ^ Hirschman, Charles. The Making of Race in Colonial Malaya: Political Economy and Racial Ideology. Vol. 1, No. 2. Sociological Forum. 1986: 330-361. ^ Lee, Edwin. The British as Rulers: Governing Multiracial Singapore, 1867-1914. Singapore University Press, National University of Singapore. 1991. ^ Nonini, Donald M. British Colonial Rule and the Resistance of the Malay Peasantry, 1900-1957. New Haven: Yale University Southeast Asia Studies. 1992. ^ Rahim, Lily. The Singapore Dilemma: The Political and Educational Marginality of the Malay Community. New York: Oxford University Press. 1998. ^ Hussein Alatas, Syed. 12. The Myth of the Lazy Native: A Study of the Image of the Malays, Filipinos and Javanese From the 16th to 20th century and Its Function in the Ideology of Colonial Capitalism. London: Frank Cass. 1977: 116-17. ^ W.R. Roff. The Origins of Malay Nationalism. Penerbit Universiti Malaya. 1974: 109, 110. ^ 21.0 21.1 W.R. Roff. The Origins of Malay Nationalism. Penerbit Universiti Malaya. 1974: 110, 111. ^ Thomas Metcalf. Empire Recentered: India in the Indian Ocean Arena, in Colonialism and the Modern World: Selected Studies, eds. Gregory Blue, Martin Bunton, and Ralph Crozier. Armonk NY: M.E. Sharpe. 2002: 31. ^ Abdullah, Asma & Pedersen, Paul B. Understanding Multicultural Malaysia. Pearson Malaysia. 2003: 44. ISBN 978-983-2639-21-3. ^ Rashid, Rehman. A Malaysian Journey. Self-published. 1993: 28. ISBN 978-983-99819-1-9. ^ Swettenham, Frank. British Malaya: An Account of the Origin and Progress of British Influence in Malaya. By Sir Frank Swettenham, K.C. M. G. Late Governor of the Straits Colony. London: John Lane Co. 1900: 232-4. ^ W.R. Roff. The Origins of Malay Nationalism. Penerbit Universiti Malaya. 1974: 207-210. ^ Abdullah, Asma & Pedersen, Paul B. Understanding Multicultural Malaysia. Pearson Malaysia. 2003: 20. ISBN 978-983-2639-21-3. ^ 28.0 28.1 Hickling, R.H. Essays in Malaysian Law. Pelanduk Publications. 1991. ISBN 978-967-978-385-8. ^ W.R. Roff. The Origins of Malay Nationalism. Penerbit Universiti Malaya. 1974: 235, 236. ^ 30.0 30.1 30.2 Hwang, In-Won. Personalized Politics: The Malaysian State under Mahathir. Institute of Southeast Asian Studies. 2003. ISBN 978-981-230-185-7. ^ 31.00 31.01 31.02 31.03 31.04 31.05 31.06 31.07 31.08 31.09 31.10 31.11 31.12 Ongkili, James P. Nation-building in Malaysia 1946–1974. Oxford University Press. 1985. ISBN 0-19-582681-7. ^ Ongkili, James P. Nation-building in Malaysia 1946–1974. Oxford University Press. 1985: 59-66, 73. ISBN 0-19-582681-7. ^ Jawan, Jayum A. （2003）. Malaysian Politics & Government, p. 37. Karisma Publications. ISBN 978-983-195-037-1. ^ Putra, Tunku Abdul Rahman （1986）. Political Awakening, pp. 30, 31. Pelanduk Publications. ISBN 978-967-978-136-6. ^ 37.0 37.1 Josey, Alex （1980）. Lee Kuan Yew: The Crucial Years, pp. 83–84. Times Books International. ISBN 978-981-204-448-8. ^ Sopiee, Mohamed Noordin （1976）. From Malayan Union to Singapore Separation: Political Unification in the Malaysia Region 1945 – 65, pp. 77 – 78. Penerbit Universiti Malaya. No ISBN available. ^ Sopiee, pp. 61–62, 69. ^ 44.0 44.1 44.2 Lee, Hock Guan （2001）. "Political Parties and the Politics of Citizenship and Ethnicity in Peninsular Malay（si）a, 1957-1968" 互联网档案馆的存檔，存档日期2006-01-18.. Retrieved 17 March 2006. ^ Ooi, Jeff （2005）. "Social Contract: 'Utusan got the context wrong'". Retrieved 11 November 2005. 互联网档案馆的存檔，存档日期2005-10-30. ^ Milne, R.S. & Mauzy, Diane K. （1999）. Malaysian Politics under Mahathir, p. 34. Routledge. ISBN 978-0-415-17143-4. ^ Goh, Cheng Teik （1994）. Malaysia: Beyond Communal Politics, pp. 36–37. Pelanduk Publications. ISBN 978-967-978-475-6. ^ 59.0 59.1 Goh, Jenny （23 July 1997）. "Small spark can create big mess". Straits Times. 互联网档案馆的存檔，存档日期2006-03-25. ^ "'Impossible to co-operate with Singapore while Lee is Premier'" 互联网档案馆的存檔，存档日期2005-03-10.. （2 June 1965）. Straits Times. ^ Khaw, Ambrose （1998）. "This man is making too much noise" 互联网档案馆的存檔，存档日期2006-05-22.. Retrieved 11 November 2005. ^ Veloo, Ravi （25 Jan. 1997）. "Othman Wok on race relations" 互联网档案馆的存檔，存档日期2015-05-02.. Straits Times. ^ Lee, Kuan Yew （1998）. The Singapore Story, p. 598. Marshall Cavendish Editions. ISBN 978-981-204-983-4. ^ Keith, pp. 72–73, 121. ^ Ooi, Jeff （2005）. "Perils of the sitting duck". Retrieved 11 November 2005. 互联网档案馆的存檔，存档日期2005-11-25. ^ Hwang, p. 74, 89. ^ Khoo, Boo Teik （1995）. Paradoxes of Mahathirism, p. 22. Oxford University Press. ISBN 978-967-65-3094-3. ^ Maidin, Zainuddin （1994）. The Other Side of Mahathir, pp. 19–21. Utusan Publications & Distributors. ISBN 978-967-61-0486-1. ^ Means, Gordon P. （1991）. Malaysian Politics: The Second Generation, p. 6. Oxford University Press. ISBN 978-0-19-588988-8. ^ Kamarudin, Raja Petra （2000）. "A Reporter’s Account of an Interview With Tunku Abdul Rahman On 13 May Incident". Retrieved 10 April 2006. 互联网档案馆的存檔，存档日期2006-06-15. ^ Von Vorys, Karl （1975）. Democracy without Consensus: Communalism and Political Stability in Malaysia, p. 317. Princeton University Press. ISBN 978-0-691-07571-6. ^ Mohamad, Mahathir bin （1970）. The Malay Dilemma, p. 133. Times Books International. ISBN 978-981-204-355-9. ^ Musa, M. Bakri （1999）. The Malay Dilemma Revisited, p. 113. Merantau Publishers. ISBN 978-1-58348-367-1. ^ 103.0 103.1 103.2 Hilley, John. Malaysia: Mahathirism, Hegemony and the New Opposition. Zed Books. 2001. ISBN 1-85649-918-9. ^ 104.0 104.1 Hwang, p. 113. ^ Abdullah & Pedersen, p. 53. ^ Kamarudin, Raja Petra （1 Aug. 2005）. Umno’s relevance lies in Ketuanan Melayu. Malaysia Today. 互联网档案馆的存檔，存档日期2006-02-18. ^ Kamarudin, Raja Petra （26 Sept. 2005）. Article 153 of Malaysia’s Federal Constitution. Malaysia Today. 互联网档案馆的存檔，存档日期2006-02-18. ^ Mohamad, Maznah （1999）. "Can UMNO Survive?" 互联网档案馆的存檔，存档日期2012-04-15.. Retrieved 2 February 2006. ^ 112.0 112.1 Khoo, p. 104– 106. ^ Trinidade, F.A. & Lee, H.P. （eds., 1986）. The Constitution of Malaysia: Further Perspectives and Developments, pp. 48–49. Penerbit Fajar Bakti. ISBN 978-967-65-0030-4. ^ Emery, Fred （8 Nov. 1969）. "Malaysia unity call against a background of fear", p. 7. The Times. ^ b. Maaruf, Shaharuddin （1984）. Concept of a Hero in Malay Society, p. 122. Eastern Universities Press. ISBN 978-9971-71-204-4. ^ Hwang, pp. 115, 117. ^ 121.0 121.1 Khoo, p. 35. ^ 122.0 122.1 Hwang, pp. 10–11. ^ Lim, Kit Siang （1978）. Time Bombs in Malaysia, p. 218 （2nd ed.）. Democratic Action Party. No ISBN available. ^ b. Maaruf, p. 121. ^ Tan, Koon Swan （1982）. Introduction. In Federal Territory MCA Liaison Committee （Ed.）, Malaysian Chinese, pp. vii–xi. Eastern Universities Press. No ISBN available. ^ Yeoh, Michael Oon Kheng （1982）. The Politics of Under-Representation. In Federal Territory MCA Liaison Committee （Ed.）, Malaysian Chinese, pp. 61–71. Eastern Universities Press. No ISBN available. ^ 134.0 134.1 Razak, Aidila. Forum speakers flay 'Ketuanan Melayu'. Malaysiakini. 2009-12-12 [2010-02-10]. （原始内容存档于2010-02-10）. ^ Hwang, pp. 149–150, 153. ^ 136.0 136.1 Hwang, p. 151. ^ Lim, Kit Siang （2000）. "GPMS' extremist demands - a prelude to escalation of ethnic tensions to justify another Operation Lalang mass crackdown to shore up Mahathir and UMNO’s tottering position?" 页面存档备份，存于互联网档案馆. Retrieved 21 December 2005. ^ Hwang, pp. 161–162, 164–165, 168–169. ^ Hwang, pp. 186, 192–194, 205. ^ Hwang, pp. 246–247, 248–249, 250. ^ Milne & Mauzy, p. 96. ^ Hwang, pp. 209, 258. ^ Kamarudin, Raja Petra. "An Analysis of Malaysia's 1999 Tenth General Elections" 互联网档案馆的存檔，存档日期2006-09-07.. Retrieved 11 August 2006. ^ Lim, Guan Eng （2005）. "'Merdeka' Constitution Driving Force Towards National Unity". Retrieved 19 February 2006. 互联网档案馆的存檔，存档日期2007-08-21. ^ Adam, Ramlah binti, Samuri, Abdul Hakim bin & Fadzil, Muslimin bin （2004）. Sejarah Tingkatan 3, p. 45. Dewan Bahasa dan Pustaka. ISBN 978-983-62-8285-9. ^ 152.0 152.1 Gatsiounis, Ioannis （2 October 2004）. "Abdullah stirs a hornets' nest". Asia Times. ^ Ooi, Jeff （2005）. "Social Contract: 'Utusan got the context wrong'". Retrieved 12 November 2005. 互联网档案馆的存檔，存档日期2005-10-30. ^ Badawi, Abdullah Ahmad （2004）. "Moving Forward — Towards Excellence". Retrieved 11 November 2005. 互联网档案馆的存檔，存档日期2007-09-12. ^ Yeoh, Oon （4 June 2004）. "Meritocracy: The truth must be well told" 互联网档案馆的存檔，存档日期2005-03-16.. The Sun. ^ Lim, Guan Eng （2004）. "Will qualified non-bumi students be sacrificed by Shafie for his defeat in UMNO?". Retrieved 11 November 2005. 互联网档案馆的存檔，存档日期2005-09-07. ^ Trinidade & Lee, p. 50. ^ "Johor Umno Says Meritocracy A Form Of Discrimination". （9 July 2005）. BERNAMA. ^ Noor, Farish A. （2005）. From Majapahit to Putrajaya: Searching for Another Malaysia, p. 241. Silver Fish Books. ISBN 978-983-3221-05-9. ^ 160.0 160.1 Ooi, Jeff （2005）. "New controversy: Social Contract and Bangsa Malaysia". Retrieved 12 November 2005. 互联网档案馆的存檔，存档日期2005-10-30. ^ Yusoff, Marzuki & Samah, Nazeri Nong （14 August 2005）. "Kontrak sosial: Kenyataan Keng Yaik bercanggah Perlembagaan Persekutuan". Utusan Malaysia. ^ Badawi, Abdullah Ahmad （2004）. "The Challenges of Multireligious, Multiethnic and Multicultural Societies". Retrieved 12 November 2005. 互联网档案馆的存檔，存档日期2006-02-25. ^ "Don't Raise Social Contract Issue, Umno Youth Chief Warns". （15 August 2005）. BERNAMA. ^ Ramly, Rosliwaty （25 Jan. 2006）. Appreciating The Rukun Negara 互联网档案馆的存檔，存档日期2007-03-24.. BERNAMA. ^ "Racial politics. And so, who's to blame? ", p. 12. （21 Mar. 2006）. New Straits Times. ^ Rahim, Lily. The Singapore Dilemma: The Political and Educational Marginality of the Malay Community. New York: Oxford University Press, 1998）, et al. ^ Lau, Leslie （25 Sept. 2006）. Chinese Malaysians are marginalised: DAP. Straits Times. 互联网档案馆的存檔，存档日期2007-10-13. ^ Ahmad, Reme （4 Oct. 2006）. Reply gets prominent play in Malaysian media. Straits Times. 互联网档案馆的存檔，存档日期2006-11-08. ^ Umno and MCA accept MM's 'apology'. （4 Oct. 2006）. BERNAMA. 互联网档案馆的存檔，存档日期2006-11-08. ^ Ahmad, Abdul Razak & Chow, Kum Hor （22 Oct. 2006）. "The nation's economic pie in perspective", pp. 20–21. New Sunday Times. ^ Ooi, Jeff （2006）. "Equity share: Is race-based methodology relevant?" 互联网档案馆的存檔，存档日期2006-11-08.. Retrieved 5 November 2006. ^ Beh, Lih Yi （1 Nov. 2006）. Bumi equity hit NEP target 10 years ago. Malaysiakini. ^ Nambiar, Ravi & Nadzmi, Siti Nurbaiyah （6 Nov. 2006）. "Ghani: Bangsa Malaysia is rojak and unacceptable", p. 10. New Straits Times. 互联网档案馆的存檔，存档日期2007-10-13. ^ "'Rejection of concept affects integration efforts'", p. 7. （7 Nov. 2006）. New Straits Times. ^ Nambiar, Ravi & Nadzmi, Siti Nurbaiyah （7 Nov. 2006）. "No Bangsa Malaysia in Constitution, says Najib", p. 6. New Straits Times. ^ Tan, Marsha, Teh, Eng Hock, Vijayan, Meera & Zolkepli, Farik （7 Nov. 2006）. Bangsa Malaysia in mind 互联网档案馆的存檔，存档日期2007-03-25.. The Star. ^ Tan, Joceline （26 Nov. 2006）. Hisham: The keris is here to stay. Malaysia Today. 互联网档案馆的存檔，存档日期2007-10-14. ^ Hong, Carolyn. Flap over MM's remarks on non-Malays. The Straits Times (Malaysia Today). 2007-10-13 [2007-10-13]. （原始内容存档于2007-10-13）. ^ Ong, Andrew. Tengku Faris: Non-Malays should not seek equality. Malaysiakini (Malaysiakini). 2008-04-12 [2008-04-13]. ^ TENGKU MAHKOTA OF KELANTAN CALLS FOR MALAY UNITY. Bernama (Yahoo! Malaysia News). 2008-04-13 [2008-04-13]. （原始内容存档于2011-07-18）. ^ Madzlan, Azreen. Kampung Baru hails 'Ketuanan Rakyat'. Malaysiakini. 2008-04-15 [2008-04-15]. （原始内容存档于2008-04-20）. ^ Kong, See Hoh`. PKR to champion for 'Ketuanan Rakyat'. The Sun. 2008-04-24 [2008-04-24]. （原始内容存档于2008-12-08）. ^ Chan, Kok Leong. Hisham apologises for keris act. Malaysiakini. 2008-04-25 [2008-04-29]. （原始内容存档于2008-05-16）. ^ Keris apology fans unrest in divided Umno. The Malaysian Insider. 2008-04-28 [2008-04-29]. （原始内容存档于2008-05-01）. ^ Keris apology fans unrest in divided Umno Let's put keris issue to rest, says PM. The Malaysian Insider. 2008-04-29 [2008-04-29]. （原始内容存档于2008-05-01）. ^ Don't bring politics into Malay supremacy issue, says Ahmad Shabery. The Malaysian Insider. 2008-05-09 [2008-05-10]. （原始内容存档于2008-05-12）. ^ 189.0 189.1 Abdullah Sani, Asrul Hadi. Nazri calls Dr M a racist for defending BTN. The Malaysian Insider. 2009-12-07 [2009-12-07]. （原始内容存档于2009-12-12）. ^ Mustafa Kamal, Shazwan. Dr M says criticisms against BTN an ‘exaggeration’. The Malaysian Insider. 2009-12-07 [2009-12-07]. （原始内容存档于2009-12-12）. Abdullah, Asma & Pedersen, Paul B. （2003）. Understanding Multicultural Malaysia. Pearson Malaysia. ISBN 978-983-2639-21-3. Adam, Ramlah binti, Samuri, Abdul Hakim bin & Fadzil, Muslimin bin （2004）. Sejarah Tingkatan 3. Dewan Bahasa dan Pustaka. ISBN 978-983-62-8285-9. Goh, Cheng Teik （1994）. Malaysia: Beyond Communal Politics. Pelanduk Publications. ISBN 978-967-978-475-6. Hickling, R.H. （1991）. Essays in Malaysian Law. Pelanduk Publications. ISBN 978-967-978-385-8. Hwang, In-Won （2003）. Personalized Politics: The Malaysian State under Mahathir. Institute of Southeast Asian Studies. ISBN 978-981-230-185-7. Jawan, Jayum A. （2003）. Malaysian Politics & Government. Karisma Publications. ISBN 978-983-195-037-1. Josey, Alex （1980）. Lee Kuan Yew: The Crucial Years. Times Books International. ISBN 978-981-204-448-8. Keith, Patrick （2005）. Ousted! Media Masters. ISBN 978-981-05-3865-1. Khoo, Boo Teik （1995）. Paradoxes of Mahathirism. Oxford University Press. ISBN 978-967-65-3094-3. 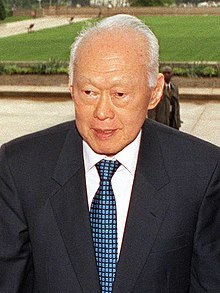 Lee, Kuan Yew （1998）. The Singapore Story. Marshall Cavendish Editions. ISBN 978-981-204-983-4. Lim, Kit Siang （1978）. Time Bombs in Malaysia （2nd ed.）. Democratic Action Party. No ISBN available. b. Maaruf, Shaharuddin （1984）. Concept of a Hero in Malay Society. Eastern Universities Press. ISBN 978-9971-71-204-4. Maidin, Zainuddin （1994）. The Other Side of Mahathir. Utusan Publications & Distributors. ISBN 978-967-61-0486-1. Means, Gordon P. （1991）. Malaysian Politics: The Second Generation. Oxford University Press. ISBN 978-0-19-588988-8. Milne, R.S. & Mauzy, Diane K. （1999）. Malaysian Politics under Mahathir. Routledge. ISBN 978-0-415-17143-4. Mohamad, Mahathir bin （1970）. The Malay Dilemma. Times Books International. ISBN 978-981-204-355-9. Musa, M. Bakri （1999）. The Malay Dilemma Revisited. Merantau Publishers. ISBN 978-1-58348-367-1. Noor, Farish A. （2005）. From Majapahit to Putrajaya: Searching for Another Malaysia. Silver Fish Books. ISBN 978-983-3221-05-9. Putra, Tunku Abdul Rahman （1986）. Political Awakening. Pelanduk Publications. ISBN 978-967-978-136-6. Rashid, Rehman （1993）. A Malaysian Journey. Self-published. ISBN 978-983-99819-1-9. Roff, W.R. （1974）. The Origins of Malay Nationalism. Penerbit Universiti Malaya. No ISBN available. Sopiee, Mohamed Noordin （1976）. From Malayan Union to Singapore Separation: Political Unification in the Malaysia Region 1945 – 65. Penerbit Universiti Malaya. No ISBN available. Federal Territory MCA Liaison Committee （Ed.）, Malaysian Chinese. Eastern Universities Press. No ISBN available. Trinidade, F.A. & Lee, H.P. （eds., 1986）. The Constitution of Malaysia: Further Perspectives and Developments. Penerbit Fajar Bakti. ISBN 978-967-65-0030-4. Von Vorys, Karl （1975）. Democracy without Consensus: Communalism and Political Stability in Malaysia. Princeton University Press. ISBN 978-0-691-07571-6. Ye, Lin-Sheng （2003）. The Chinese Dilemma. East West Publishing. ISBN 978-0-9751646-1-7.